We’ll analyze your website, SEO and inbound marketing strategy and initiatives. 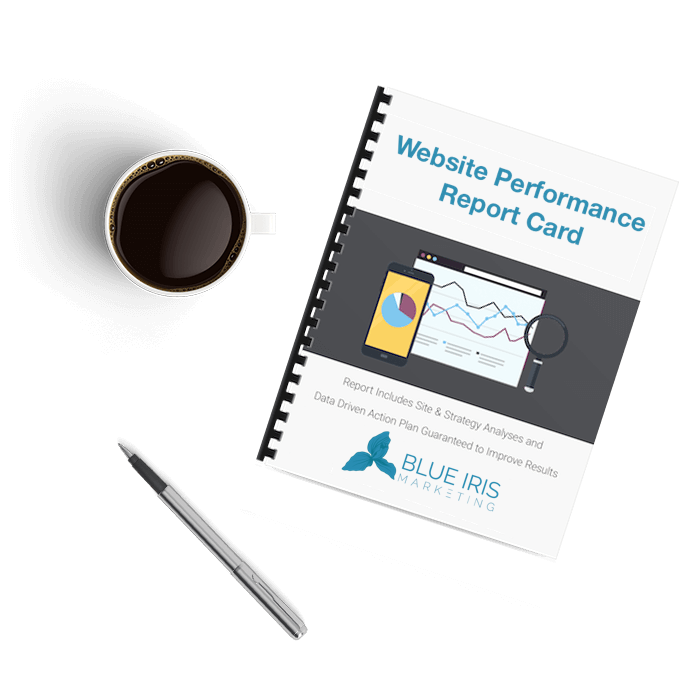 Our complimentary analyses and report identifies quantifiable and actionable opportunities to improve targeted traffic, increase conversions and new customers. and customer-centric. Imagine a high-performance, data-driven smart-site that attracts and converts more than your best salesperson. Strategy development and campaigns that achieve your goals. Whether you need consulting, training, a slow-phase ramp-up, or a comprehensive integrated campaign to achieve your growth goals, we’ve got you covered. Our Search Engine geniuses achieve incomparable results for every client – especially in highly competitive markets. We’ll increase your website traffic & customer acquisition via the most effective inbound channels. Let’s face it. Knowing exactly what you need can be a little daunting. This is what we are really good at. Let’s schedule a call. © 2019 Blue Iris Marketing - PPGWebSolutions.com All Rights Reserved.